“Prepare to fork out more for your favourite cuts of beef, or go without.” This is the word from analysts who predict beef prices will soar beyond 30% this year, as hard-hit livestock farmers battle the effects of a three-year drought while attempting to rebuild their herds. According to Agri Eastern Cape analyst and national vice-chairman of the Red Meat Producers Organisation, Pieter Prinsloo, slaughter figures have declined considerably since January this year. The drought has wrought havoc on the national beef herd, which has been reduced by at least half a million animals to less than 14 million heads over the past two years. 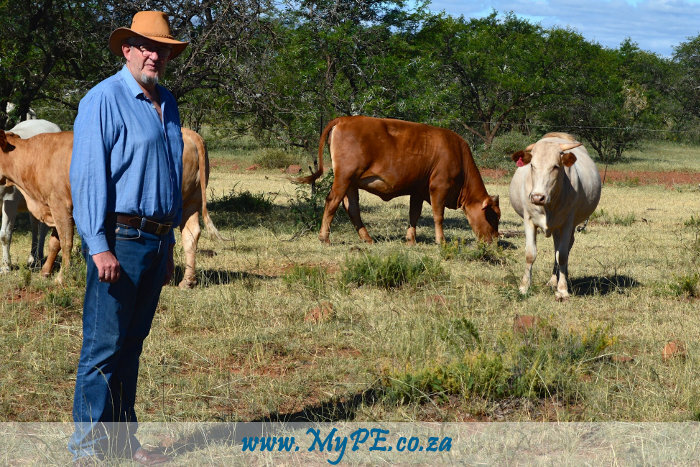 Prinsloo explained that when the drought first hit, farmers increased the number of livestock they sent to the abattoirs as they could not maintain their existing herd sizes. The increase in meat stock meant that prices on shop shelves dropped. Now, the prolonged crisis in the Eastern Cape has meant herd sizes are down to a critical mass and need to be rebuilt – and the lack of supply is bad news for consumers. He said retailers were “trying hard” to contain the price hikes. Farmers, he said, received a share of the consumer rand for lamb and beef of 65% and 56% respectively. He said increased input costs had had a devastating effect on many farmers in the Eastern Cape, with many selling up and exiting the industry due to financial pressure. Those who survive would be in the recovery phase and price increases would assist in mitigating their escalating debts incurred during the drought, said Prinsloo. “In general, sheep are less affected by drought conditions than cattle and have a shorter reproduction cycle, so the recovery of the national herd will be faster,” said Prinsloo, adding that price increases for lamb and mutton would be less than the hikes for beef, at about 5% – on par with the year-on-year price increases. While he acknowledged rising consumer resistance to higher commodity prices, Prinsloo said a jump in producer prices had been long overdue and was necessary to ensure the survival of sectored meat producers. “The current situation is predicted to continue for at least the rest of 2017,” he said. Prinsloo said despite some recent rains in parts of the Eastern Cape, there had not been much run-off into dams and that general climatic conditions had not been conducive to rejuvenating the land. He and his son, Koot, farm commercially with mixed breed cattle, Angora goats and wool sheep in the Queenstown district. They recently started Langside Meats, which markets three to five-year-old grass-fed oxen as veld-reared natural beef, and have formed a production unit with seven cattle farmers in the district. Prinsloo advised consumers to review their buying habits and to take a whole carcass approach to purchasing in order to obtain prime cuts at cheaper prices.